Biography: In 2000, she graduated from Karaganda State Technical University (KarGTU, Karaganda) with a degree in Transportation Management and Management in Industrial Transport, qualified as an engineer in organization and management in industrial transport. Since 2004 till 2005 worked as an assistant at the department of “Industrial Transport”, KSTU (Karaganda); since 2005 till 2008 worked as a teacher at the Department of “Industrial Transport”, KSTU (Karaganda); since 2008 till 2010 She worked as a senior lecturer in the department “Industrial Transport”, KSTU (Karaganda). Since 2010 till 2012 She studied at the Karaganda State Technical University (KSTU, Karaganda) in the specialty 6M090100 “Organization of transport, traffic and transport operation”; she received a master’s degree in science 6M090100 “Organization of transport, traffic and transport operation”. 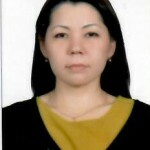 Since 2012 on 2014 She worked as a senior lecturer in the department “Industrial Transport”, KSTU (Karaganda). From 2014 to 2017 she studied at the Kazakh Academy of Transport and Communications. M. Tynyshpayev (KazATK, Almaty) in the specialty 6D090100 “Organization of transport, traffic and transport operation”, awarded the degree of Doctor of Philosophy (Ph.D.). 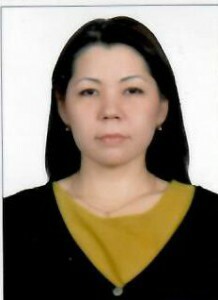 Since 2017 currently works as a senior lecturer at the Department of “Industrial Transport”, KarGTU (Karaganda), teaches the disciplines “Transport Logistics”, “Gruzhedinie”, “Organization of freight and commercial work”, “Technological processes of loading and unloading works”, “Innovative technology in the organization of transport.